You can find the link to this free block pattern here. I chain pieced all my sections, so it didn't take too long. I find that once I'm in the groove, I don't have to think too hard about the angles associated with paper piecing. 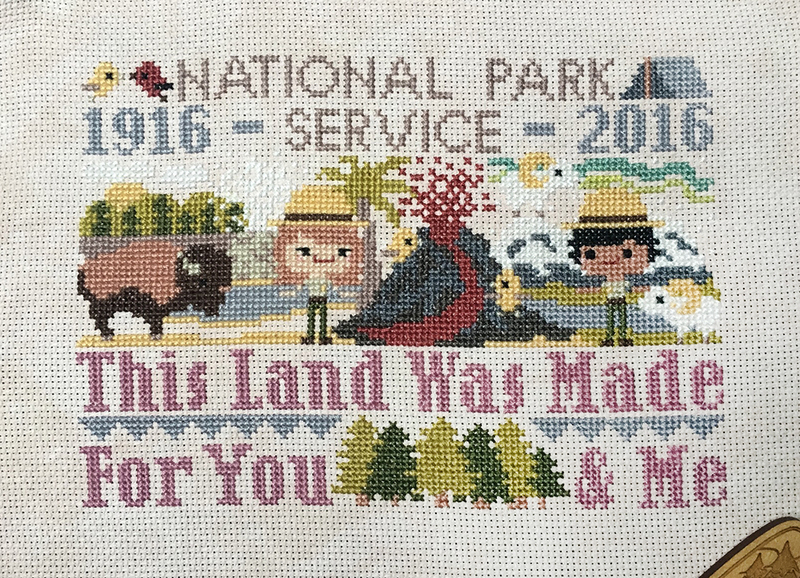 It was two steps forward and one step back on my National Parks cross stitch project. I ripped out the very bottom stitches because I also miscounted them by 1. But I finished the third national park (Denali) at the top and think it turned out quite cute! Other than that, I've been getting ready for the holidays. My parents came to visit last weekend and we enjoyed the Christkindlmarket. It is definitely looking like Christmas here, and with more snow in the forecast, I don't think that is going to change! I hope everyone is staying warm (or cool...I'm looking at you Australia!) in your corner of the world, and enjoying this holiday season.